ESL Kids Lesson plans, flashcards, worksheets, songs, readers, crafts, apps & more! Our app for your phone! 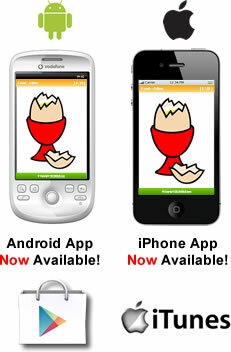 We have created an app for iphones, ipads, Android phones and Android tablets. The app is perfect for kids teachers using our lesson plans. Best of all, the app is free to all of our members! over 1,500 flashcards in over 80 sets. all cards have picture on the front and word on the back (flip cards by tapping the screen). you can move through the cards in each set by swiping left/right. you can download flashcard sets to your phone or use online only. you can edit flashcard words, move cards to different sets, add and delete cards. you can create your own flashcard sets. cards in sets can be ordered alphabetically or randomly. 50 high quality songs specially made for teaching English to kids. all songs come in two versions: American English and British English. You can select which version to play. easy to use song interface and player. all songs can be streamed to your phone or device via WI-FI or data. all songs can be downloaded to your phone for playing when offline. "Play All" and "Shuffle" mode options. songs details including lyrics, theme, keywords and phrases. colorful song poster with fun pictures for each song - sing along with the song. song player options: fast forward, rewind, pause, time played and time remaining, progress sider. all songs come with song videos for kids to dance along with. easy to read and plan on the go! song downloads, classroom readers, flashcards app and songs app. Sounds good, right? Register Today! Only US$29 for a 1 year membership for access to all of our materials. © ESLKidStuff.com | Focal Point EdTech Lda. All Rights Reserved.